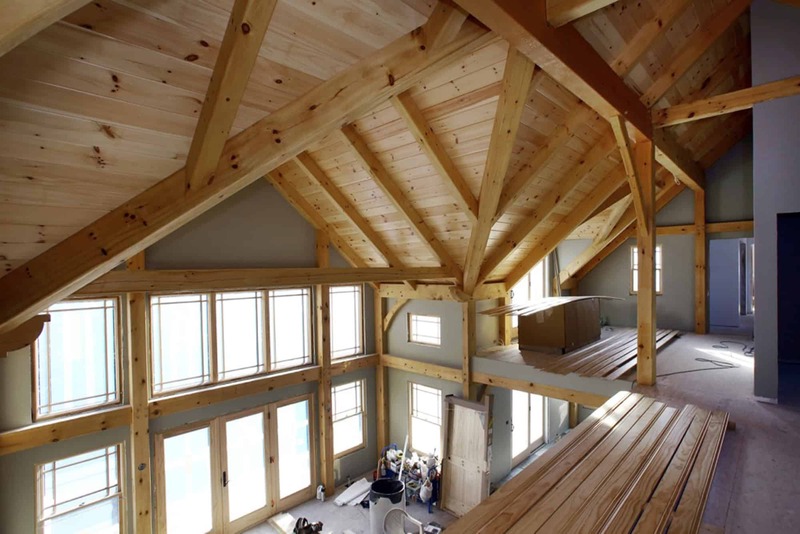 A beautiful timber frame home for our friends in Waretown, NJ. 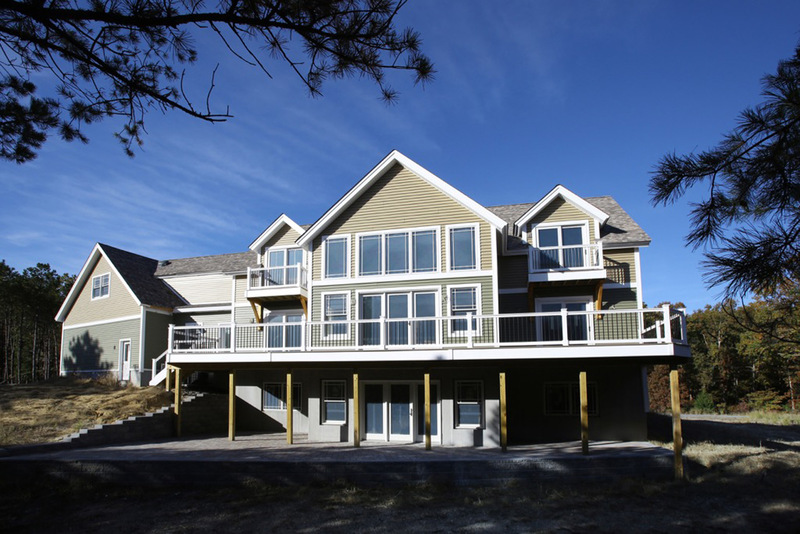 Ray and Debi Schaffer of Waretown, NJ, approached us to build their family a timber frame home. Ray came to us with completed plans already in hand, and we began construction soon after. The 2,800–square foot, four-bedroom home includes a large walk-out basement, a patio overlooking the pond, and a garage with a loft for extra storage. Ray is a carpenter by trade, so all the little details were very important to him. Our skilled craftsmen were thrilled to help him create a dream home for his family. We also developed a great relationship with the Schaffers. We stayed overnight on the property several times during this process. Throughout the project build, our relationship continued to deepen, and after we completed the various portions of his home, Ray offered to take us fishing. We haven’t yet selected a date for the fishing trip, but we look forward to a long-lasting friendship! We completed construction in August of 2016, and the Schaffers say they’re absolutely thrilled with their new timber frame home! They love how the pond is the focal point of the home upstairs and downstairs, and our attention to detail and willingness to work with their design solidified their faith in us. The home features a stick-built breezeway that serves as a connection between the garage and the house, a stick-frame garage with a loft that offers extra storage and has beautiful windows and dormers, a patio overlooking the pond, balconies on the second floor, and two front entrances. Our original contract was to install the timber frame structure and the exterior walls. Several months after completing the original contract, we returned to install the siding, the porch, and a custom staircase.